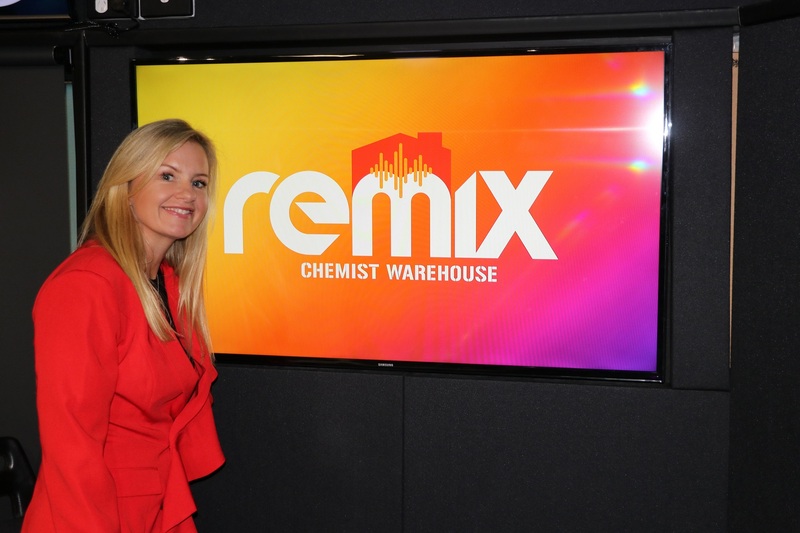 Australian Radio Network (ARN) and Chemist Warehouse have announced the launch of the ‘Chemist Warehouse REMIX’. Hosted by Brendon “Whippy” Dangar (pictured above) and Zoe Sheridan (pictured below), the new station features a combination of national news, sport, weather and music’s freshest hits. Chemist Warehouse REMIX is the first in-store and DAB+ combined radio station to offer national news, sport and weather to listeners, which will be updated hourly from 7am to 10am and 3pm to 6pm on weekdays. Like broadcast radio, the breakfast, workday and drive shows across weekdays will be hosted by Dangar and Sheridan. Chemist Warehouse REMIX is set to reach approximately 1.8 million customers every week across more than 400 Chemist Warehouse stores nationally from today, and will also be heard on iHeartRadio and DAB+. Chemist Warehouse’s chief operating officer, Mario Tascone, said: “This exciting collaboration marks an evolution in our in-store music offering for our Chemist Warehouse customers. ARN’s chief commercial officer, Emma-Jayne Owens, said: “This launch is a natural progression of the long-standing partnership between ARN and Chemist Warehouse.